Glenwood offers classes for 6 weeks old through 2nd grade. At each level, our focus is on the development of the child -- educationally, physically and emotionally -- for that particular age range. Of course every child is unique so we tailor our childcare and teaching styles in such a way that we can adapt to the special needs of each child. Caregivers provide a loving and nurturing experience for each infant in their care. Classrooms are kept clean and cribs and toys are sanitized regularly to insure a safe and healthy environment. Schedules are followed to make the transition from home to center smooth and comfortable for both parent and child. Caregivers are energetic and provide opportunities for interactive play in small groups. Caregivers encourage independent skills to enhance each child’s developmental growth as well as be a supportive and loving adult in their daily lives. 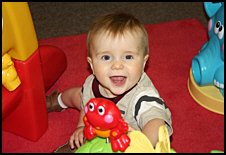 Activities are provided to support coordination and age appropriate gross motor development. Teachers provide the structure needed for each child to explore new skills confidently. Introduction to letter and number concepts through Funshine Learning Curriculum blended with thematic units. Classrooms provide the opportunity for children to work and play cooperatively together in small and large group settings. Reading Readiness Skills are introduced through the Alpha Time Curriculum to lay a strong foundation on which more advanced skills can be built. 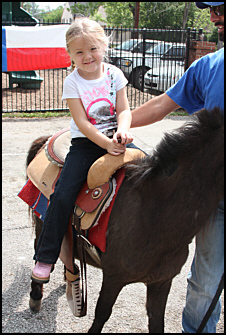 Children develop a “can-do” attitude that enhances their ability to meet challenges with success. Daily experiences expand the understanding of their community and world giving each child the opportunity for life-long learning. Teachers provide instruction fostering individualized learning skills that enables each child to develop their confidence and independence. Teachers ensure a creative approach to learning about the world we live in through literature, science, and social studies. Good citizenship skills and values are encouraged through cooperation and positive interaction with peers and other adults. 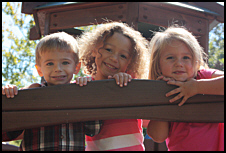 Private Kindergarten education offers individualized learning in a structured environment allowing creativity and exploration. Students gain confidence in phonetic based reading curriculum through Lippincott letter books enriched with sight reading skills. 1st & 2nd Grade students develop fluency in reading through phonics and mastery of vocabulary words. Classroom settings offer individualized learning which promotes a strong foundation in math and number concepts.